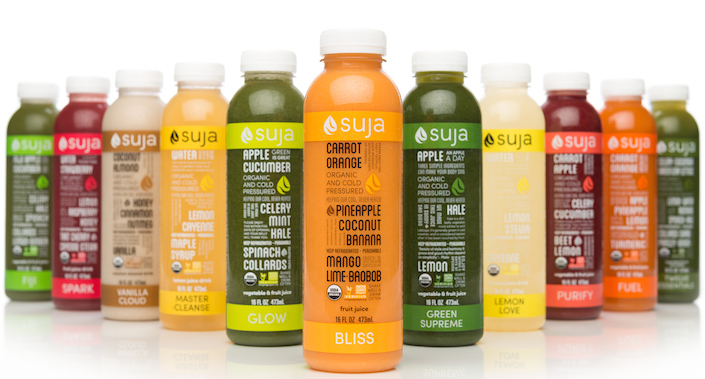 Is there anyone making more of an impact in the pressed organic juice world than Suja? If you ask me, the answer is a resounding “no”. Yet, I am hardly the only one who is singing the company’s praise. In January, Forbes magazine named Suja the #3 Most Promising Company in the U.S., a stunning accomplishment for a business that was only founded in 2012. And just last week, another accolade landed on its doorstep – Suja received the extremely coveted “Supplier of the Year” Award given by Whole Foods Market. What makes this so impressive is that Suja was chosen out of 60,000 other brands. Yes, 60,000! Additionally, the “Supplier of the Year” award has been only given to less than 50 of the grocer’s producer partners. “Our Supplier Award winners set the gold standard for producers in the industry, and we’re proud to celebrate their achievements,” said Edmund LaMacchia, Whole Foods Market’s Global Vice President of Procurement, Perishables. Being acknowledged like this by Whole Foods Market is no small feat, and the work that Suja is doing in both the supermarket aisles and the community is raising the bar for everyone else in the pressed organic juice world. Huge congrats, Suja! You are incredibly deserving of this award.